Georgine was born Elizabeth Georgine on 7-6-1930 to Michael & Elizabeth Weinbender. She married Tom Frame and to this union 3 children were born, Sherry, Larry and Charlene. Rood was born Albion Rood on 2-14-1929 to A.F. “Beans” and Vivian Menter. He married Daphne Burton and they had 2 children Kimberly & Wade. Rood served in the Army during the Korean War and was an honorary member of the Osage Indian Tribe. 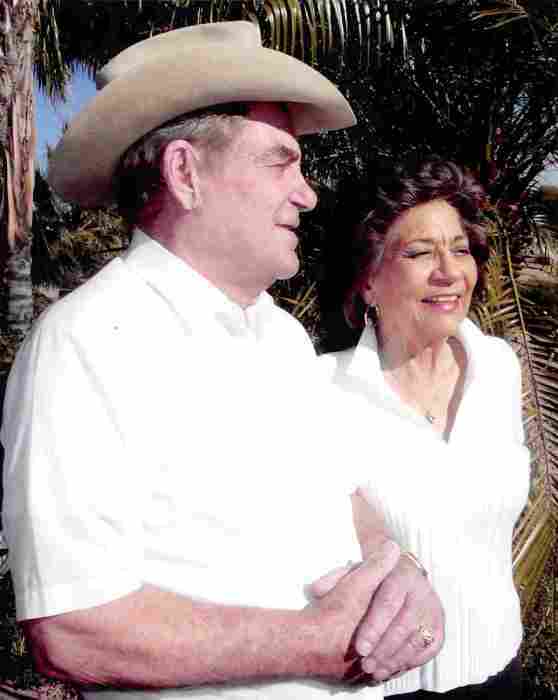 Rood and Georgine were married in April 1966. They ranched & farmed in Northeastern Colorado until 1997. This is when they retired and moved to Sun City West, Arizona. They were preceded in death by their parents, 1 son Wade Burton Menter and 2 granddaughters Cheyanne Woodward and Alyssa James. They are survived by children-Kimberly Schneider (Greg Dyas) of Paxton Nebraska, Sherry Frame of Denver, Colorado, Larry (Gaylene) Frame of Sedgwick, Colorado and Charlene Seckler of Denver, Colorado. Grandchildren-Justin (Brittany) Hardin of Paxton, Nebraska, Jared (Andrea) Hardin of Sutherland, Nebraska, Kolby (Nick) Kauffman of Overland Park, Kansas and Dr. Kallie (Matt) Lusk of Bend, Oregon. Terri Frame of Yuma, Colorado, and Jenny (Ivan) Leck of Denver, Colorado. And numerous great grandchildren they had never met.